Aarne Ranta started in 1997-99 to develop GF (Grammatical Framework) as a tool for multilingual translation and authoring at Xerox Research Centre Europe. GF combines the semantic model of type theory with functional programming techniques into a system that helps to deal with the complexities of natural languages efficiently and to capture cross-linguistic generalizations. 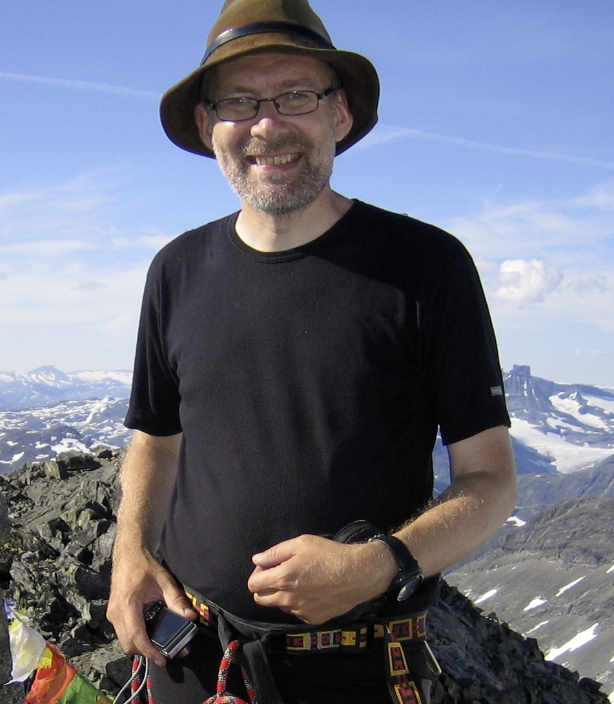 In 1999, he became Associate Professor of Computer Science at the University of Gothenburg, and in 2005, full Professor. In 2010-2013, he is the coordinator of the European Union research project MOLTO (Multilingual On-Line Translation), which develops techniques for high-quality translation among 15 languages. MOLTO tools are based on GF but the project also develops hybrid models combining grammars with statistical machine translation. Ranta has a long teaching experience in logic, language technology, compiler construction, and functional programming. A native speaker of Finnish, Ranta speaks six languages and reads another six ones. Cristina España Post-doc researcher at LSI-UPC, holds a Ph.D in Cosmology. She is a specialist on Statistical Machine Translation, specifically on the usage of Machine Learning techniques to enrich pure phrase-based SMT systems. She is currently working on the SMT modules in the hybrid MOLTO system and leads the case study on patents. Jordi Saludes Dr. Jordi Saludes received his Ph.D. degree in Science (Mathematics) from the Universitat Autònoma de Barcelona (UAB) in 1991. He is associated professor of one of the departments of Applied Mathematics in UPC, lecturing in the Escola Tècnica Superior d’Enginyeries Industrial i Aeronàutica de Terrassa and the Facultat de Matemàtiques i Estadística. He has been working in Computer Vision for industrial problems in the Centre de Visió per Computador (CVC, CIRIT-CIDEM-UAB) and medical image analysis. He is currently interested in formalization and representation of mathematical content in GF.